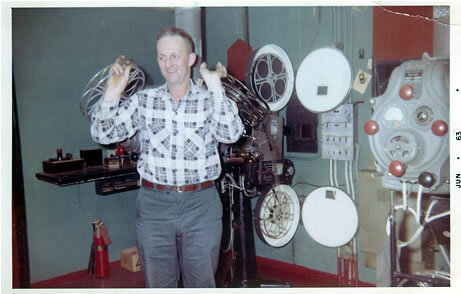 This is a story about my father Jake Schlies, who was a projectionist at the Star Theatre from 1946 until 1982. It needs to be told from a kid’s prospective, because that’s how I saw it. I mean, when someone asks how come I like to watch movies so much, I tell them it’s because I grew up in the theatre (movie showplace, not the stage). As a child, I saw a LOT of movies, several times. 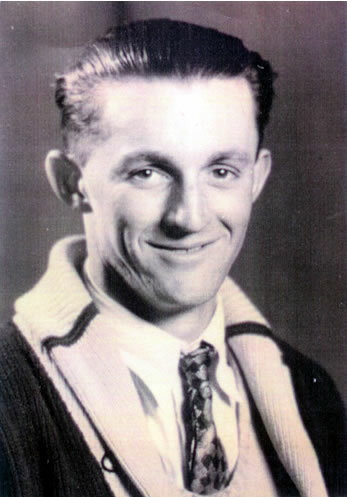 Jake started working part time at the Star just after WWII ended. He had worked a few years part-time at the Star before the war, filling in when someone was unavailable to run the machines. But after the war, wanting to build a house in Stayton and support a family, he took part-time work on a pretty much full-time basis. By day he worked with his brothers at the Schlies Brothers Garage, located at the end of Third and Water next to the Pacific Power building. But on the weekends, he shed the mechanic’s clothes for that of a projectionist. The schedule was pretty simple; if there was a Thursday night showing of a movie, either “Preacher” Cole or Burdette Rice would show it. Fridays was Burdette or Preacher Cole, Saturdays was Jake, and Sundays was Burdette or Jake (as Mr. Cole did not work Sundays, hence the name “Preacher”). I never did learn Mr. Cole’s first name, only knew he lived across from the new High School on Locust Street and had a cat. Saturdays had a matinee in the afternoon, followed by two showings of the movie and serials, one at 7 p.m. and one at 9:30 p.m. The main feature was preceded by short serial of the Three Stooges, the East End Kids or the Bowery Boys, followed by a cartoon and then the main feature. Jake would usually get home by midnight after the last showing. Friday nights was a ritual; dinner at he HoneyBee Restaurant as Jake had the night off. But if mom needed a night off, Jake would “baby-sit” us boys at the Star as he showed the movie. 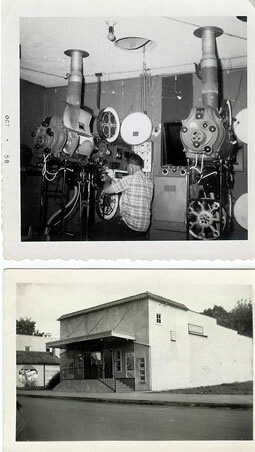 I would sit in the projection booth with dad; assist in rewinding the reels after each feed, cut and splice the films if the broke, and clean the theatre between shows. That meant on a Saturday I might see the same movie three times (I still have the words to the “Thunder Road” theme song stamped in my memory). I believe spending time with my father in the projection booth was special. Somewhere between photo albums is a photo of me in dad’s lap at the age of two in the projection sling chair. I miss the familiar smell of the carbon rods burning to illuminate the projectors, the whir of the rewind reels on the rewind machine, and the gentle hum of the transformer by the door that powered the reels. Also gone are the regular summer showings of Thunder Road, Grapes of Wrath and Tobacco Road. And gone is my father, passing in 1995 at the age of 82. But a lot of memories can be revived; on a recent visit to a movie at the Star Theatre, I related to my wife how when I was a younger lad, I would sneak into the “cry room” with my date, and we would hold hands and “make out” during the show. But we had to be careful as to not make too much noise and to sit below the viewing window from the projection booth so the projectionist, my dad, Jake, wouldn’t catch me.